Want to get on the new Jurassic Park movie “Jurassic World”? Casting directors are holding 2 open casting calls this weekend to kids, teens and adults in New Orleans! Universal Pictures is bringing back the big, bad, dinosaurs and is looking for extras ages 5 to 80 to be a part of the production…. or maybe dino dinner? Production in New Orleans begins this June but casting directors do not want to wait until June to find the 1000’s of extras they will be needing for the film so they are coming into town a few months early to find the people they need…. and they need pretty much everyone. The new “Jurassic Park 4” film called “Jurassic World” will begin production in New Orleans, LA on June 2nd but the casting calls for extras are this weekend! “Jurassic World” stars Bryce Dallas Howard and Chris Pratt and will be in Louisiana for 11 weeks this summer. 2 open calls are scheduled this weekend, Saturday and Sunday at Grace King High School cafeteria located at 4301 Grace King Place in Metairie. Casting directors will be there from 12 to 6 PM on both days to meet with people. If you will be attending, be sure to bring 2 forms of ID with you because producers will be having all extras filling out paperwork so that they can work on the film come June. Here is what they are looking for: Men, women and families of all ethnic backgrounds and between the ages 5 to 85. This will be the 4th film in Steven Spielberg’s Jurassic park franchise and Steven Spielberg is one of the executive producers on the project. 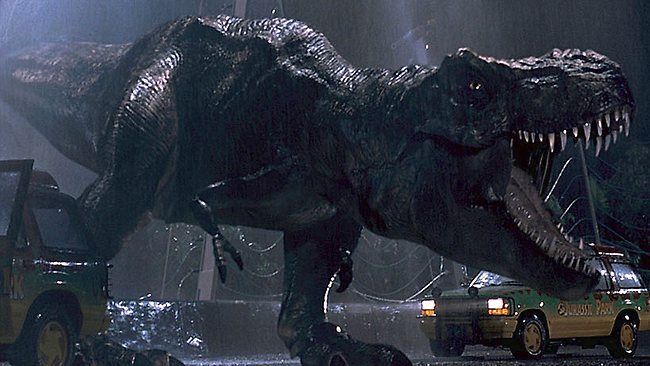 The new film is supposedly a continuation of the Jurassic Park story from 2 decades ago. The dinosaurs are now in a new park on a new island. The movie is set 22 years after the original and is rumored to be bringing in dinosaurs even more terrifying than the T-Rex. Other than that, the films plot has been kept very hush hush. The film crew is also interested in casting those who are in the military. “Jurassic World,” will be filmed this summer and will be coming to movie theaters all across the United States in the summer of 2015.
hello my name is Richard 17 years of age, an actor, singer and a dancer, care to be in this specific movie, I’m 5 ft 8, toned in shape, curly hair, nice shaped body with a great smile. I’m Estefania Tejeda and I would love to be apart of Jurassic world. My skin is clean and tan. I am 17 years old and I go to hall high school. I love to sing. I’ve been singing since 4th grade in choir. In 5th grade I did drama and it would be a big deal for me. Hey there I’m Tayra and I live in Boston Ma. I would love to be apart of the film “Jurassic World” when I first saw the movie “Jurassic Park”, it really caught my attention on how real it all seemed and looked. The dinosaurs and the nature behind it all come to life and feel like its going to come out of my tv. Anyways I hope to be in your film. Will there be any auditioning for this is Oklahoma? Hello there! I have been in the Fine Arts for over a year! And I already have a lead role in a play. I have been in chorus for two years, as long as I could. I am a model, and I would so enjoy to be in this movie! If you are interested, please read on! I’m 9 years old and next year I’m entering my school talent show. I love singing and acting but I never got to be in the movie or show. It would be life changing if everyone saw that I’m different and this way they would be really proud of me. It would be so amazing if you give me this part. Let me know if you want me in the movie, because it would be a huge yes!